(by Alan Melton & Paul Dean) Disciple Like Jesus for Parents is for Christian parents who desire to disciple their children as Jesus discipled his disciples. In most of today's Christian homes children are being discipled in the ways of the world with a few church activities thrown in along the way. The result is a wave of kids leaving the church and God during their college years. 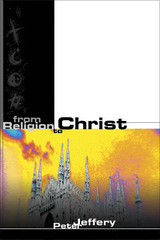 This book offers an alternative way of parenting that concentrates on relationships with God and man. When you've been wronged, the best thing to do is forgive and forget, right? That's what many Christians believe, but is it biblical? 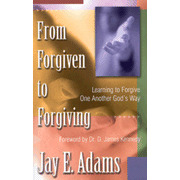 Adams dispels misconceptions about forgiveness, reveals God's true plan for absolution, and shows you how to apply it to your own relationships. Learn how to "forgive and forget" God's way. 175 pages, softcover from Calvary.